SYDNEY, Australia, April 2, 2018 (EcologyPrime.com News) – Replacing two naturally-occurring molecules in mice can reverse the ageing process of their blood vessels, increasing the animals’ physical endurance, scientists from the University of New South Wales (UNSW) and Harvard Medical School have shown. The achievement, the team said, paves the way to identifying related therapies for humans. Clinical trials for safety in humans are already underway. The two molecules can replicate the benefits of exercise, a finding that could lead to better athletic performance, improved mobility in the elderly and the prevention of age-associated diseases such as cardiac arrest, stroke, liver failure and dementia. Their research, published March 22 in the journal “Cell,” identifies the key cellular mechanisms behind vascular aging and its effects on muscle health and has successfully reversed the process in mice. Using the synthetic precursors of two molecules naturally present in the body, the scientists reversed blood vessel demise and muscle atrophy in the test mice, boosting their exercise endurance. “We’ve discovered a way to reverse vascular aging by boosting the presence of naturally occurring molecules in the body that augment the physiological response to exercise,” said the study’s senior investigator Dr. David Sinclair, professor in the Department of Genetics at Harvard Medical School and co-director of the Paul F. Glenn Center for the Biology of Aging at Harvard Medical School. 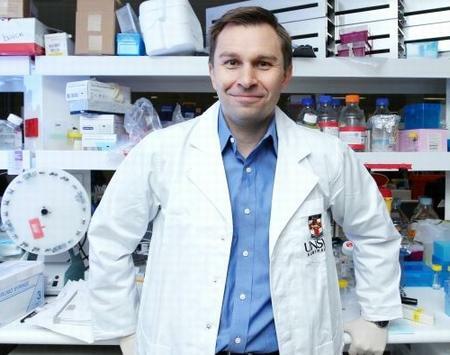 “The approach stimulates blood vessel growth and boosts stamina and endurance in mice and sets the stage for therapies in humans to address the spectrum of diseases that arise from vascular aging,” said Sinclair, who has a PhD in Biochemistry and Molecular Genetics from UNSW and now is a professor at the University of New South Wales School of Medical Sciences in Sydney. The researchers caution that many promising treatments in mice don’t have the same effect in humans due to critical differences in biology. Still, the experimental results were dramatic enough to prompt the research team to pursue experiments in humans. The newly published study identifies a glitch in the normal communication between muscles and blood vessels and keeps both types of tissue healthy. Nicotinamide adenine dinucleotide (NAD+) is a coenzyme and metabolite found in all living cells. Sirtuin 1, also called NAD-dependent deacetylase sirtuin-1, is a protein that in humans is encoded by the SIRT1 gene. Dr. Sinclair and his colleagues showed that NAD+ and SIRT1 provide a critical interface that enables communication between endothelial cells in the walls of blood vessels and muscle cells. Their experiments reveal that in young mouse muscle, SIRT1 signaling is activated and generates new capillaries, the tiniest blood vessels in the body that supply oxygen and nutrients to tissues and organs. But as NAD+/SIRT1 activity diminishes over time, the study found, so does the blood flow, leaving muscle tissue nutrient-deprived and oxygen-starved. For the first time, the study showed that as levels of NAD+ decline with age, the body’s capacity to exercise decreases because of fewer blood vessels and reduced blood flow. By treating mice with the NAD+ booster nicotinamide mononucleotide (NMN) and increasing levels of hydrogen sulphide (H2S), the scientists extended physical endurance by over 60 percent in both young and old mice. 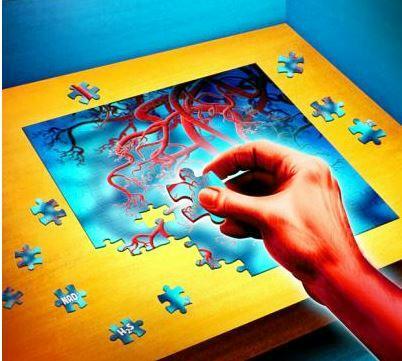 The scientists showed that this mechanism is due to a restoration of capillary formation in muscle by stimulating the activity of SIRT1, a key regulator of blood vessel formation. Lead author Dr. Abhirup Das, from UNSW’s School of Medical Sciences and a visiting scientist at Harvard Medical School, emphasizes the effect NMN and H2S could have on frailty, circulation and the capacity to run. “H2S alone has some anti-ageing properties but the two combined have a synergistic relationship that helped mice to run at least 50-60 percent further,” said Dr. Das. “Age plays a critical role in the links between blood vessels and muscle, and points to a loss of NAD+ and SIRT1 as the reason people lose the capacity to exercise as they age,” said Das. “It has significant impact on frailty because one of the main reasons for frailty is reduced blood flow that affects every part of our body. And reduced muscle function makes us weak. Our bodies already make NAD+ in our cells, but after 50 its levels drop dramatically,” said Das. “Exercise is a way to prevent decline in blood flow but these findings show that by restoring the levels of NAD+ in mice equivalent to 60-year-old humans, we can get the same benefits of exercise,” said Das. In a paper published in the journal “Science” in 2017, Sinclair identified that NAD+ has a key role as a regulator in protein-to-protein interactions that control DNA repair. 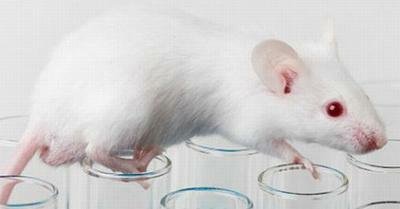 Treating old mice with NMN improved their cells’ ability to repair DNA. Dr. Sinclair and Dr. Lindsay Wu, co-head of the Laboratory for Ageing Research at UNSW, have been working for five years to make NAD+ boosters into therapeutic agents with their companies MetroBiotech NSW and MetroBiotech International. Human trials with a NAD+ booster called MIB-626 were completed in Boston in 2017, with the second phase predicted to begin later this year. The scientists are working towards developing NMN-based drugs that mimic the benefits of exercise, increasing blood flow and oxygenation of muscles. In 2014, Dr. Sinclair was named by “Time” magazine as one of the 100 most influential people in the world for his 2013 study identifying a potentially reversible cause of ageing. This study was funded in part by a grant from the National Health and Medical Research Council of Australia to Dr. Wu and Dr. Sinclair. Last year, their work led to signing a contract with NASA which could protect the long-term health of astronauts on a mission to Mars, a journey that is estimated to take about 300 days. © EcologyPrime 2018. All rights reserved.